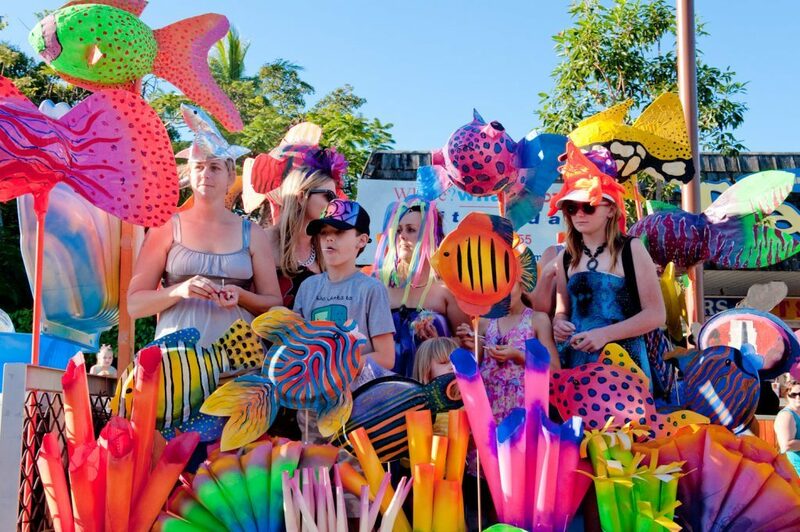 For 18 years the Whitsunday Reef Festival has brought joy to the community of Airlie Beach. For four days each year it has attracted visitors to the Whitsundays and given locals cause to celebrate what it means to live in the region at the heart of the Great Barrier Reef. Now, in its 19th year, the festival is set to take a giant leap. From the end of this month it will no longer be known as the Whitsunday Reef Festival – instead taking on a new identity and strengthening the ties to its world-famous namesake. For a not-for-profit festival that relies heavily on sponsors and business partnerships to survive, taking the rebrand from a dream to reality was always going to be a nerve-wracking step. First Ms Murphy and her core committee applied for a Whitsunday Regional Council Special Projects grant. Notwithstanding Council’s considerable contribution, there was still a shortfall to find, but at this point Brisbane-based creative agency Nick Did This stepped in. Undeterred by the lack of finances, this band of branding professionals who have delivered projects with clients such as the Toowoomba Carnival of Flowers, Cape Hillsborough, Mackay Region, Tourism and Events Queensland and the Whitsundays’ Abell Point Marina, embraced the project. Ms Murphy said she was incredibly grateful to everyone backing the rebrand, and she invited the local community to come along for the ride. “We sincerely hope everyone will jump on board in our quest to make this a nationally and internationally recognised event,” she said. The rebrand process is now underway, with the new look reveal anticipated at the end of the month.The festival will retain its popular four-day format of fireworks, street parades, live entertainment, comedy, family fun days and more, while also incorporating new premium reef-themed products and events.